Something that’s asked quite frequently by beginners in playing the guitar is whether they should buy an acoustic or an electric one. Many people seem to think that if they’re just starting out their guitar lessons, they must necessarily get an acoustic guitar – the truth is that it’s actually perfectly fine to start with any of the two types of guitars as you’re beginning your learning process. Each guitar has its advantages and disadvantages, and you have to consider some intricate differences between the two types of guitars, like their physical differences, cost and portability. The most important thing is to keep in mind which guitar would most adequately suit your musical interests and your goals for your guitar playing, as you’re starting your guitar lessons. Something very important to keep in mind when comparing the two types of guitars is that an acoustic guitar – at least the ones around the beginner price level – will be a bit more difficult to play in terms of physical difficulties. Electric guitars tend to have thinner strings than acoustic models, which makes the strings a bit easier to press down on in order to produce notes. When just starting out with the guitar, it can be somewhat difficult to press the strings hard enough to get the notes to ring – so the electric guitar can be slightly disadvantageous in this regard. The neck of the guitar is that long, thin part of the instrument that you press down on in order to play notes. 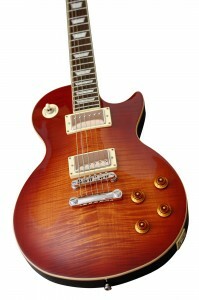 The distance from the strings to the neck is called the “action” – if the strings are very far from the neck, a guitar is said to have “high action” while on the other hand, a guitar with “low action” would have its strings very close to the neck. The higher the action of the guitar is, the harder you’ll have to push the strings in order to make a note ring, and thus the harder the guitar would be to play. An acoustic guitar suitable for a beginner would have higher action than a beginning electric guitar – so the electric guitar has a slight advantage in this regard. Even though these differences are quite real, they aren’t that huge in reality. However, it is worth considering something like this for children, or people with overly sensitive fingertips. While an acoustic guitar could be slightly more difficult to play at first, it’s not a large enough difference to not consider it if you’re attracted to it. What we said above may make it sound like acoustic guitars are a less ideal choice, but even if it was a pretty good argument, the next section will look at something in which acoustics tend to really shine. You can expect to pay more or less the same price for a beginner level guitar of both types – around $100-$300 is the general case. The difference is that with the acoustic guitar, your only additional expenses are picks, books for your lessons, and other indirect expenses – the guitar itself is the most significant cost in all of this. On the other hand, with an electric guitar, you’ll also have to pay for an amplifier, which will typically set you back another $100-$200, so starting with an electric guitar will bring up the initial price that you’ll have to pay. This may be something to consider if you’re just testing the water and want to get a feel for what it’s like to play the instrument. The difference isn’t that great – but it is a difference in the end, and it’s something you have to consider. Additionally, the fact that you have to use an amplifier to play an electric guitar makes it less portable than an acoustic – you’ll also need to lug around all your extra equipment. An electric guitar played without an amplifier won’t make any significant sound, while an acoustic is designed to be played without an amplifier. So if you’re interested in something like playing around a campfire, or you’d rather keep things simple, an acoustic guitar would likely be a better choice. Probably the most important thing to keep in mind when deciding which guitar to begin with, is what type of music you’re most interested in playing. Even though at the start of your guitar lessons it may seem too early to consider that, buying a guitar is still quite the investment. You’ll likely be playing the same tune for a few years, maybe even longer – so it’s a good idea to think about your goals from the very beginning. If you see yourself playing folk-style music like Bob Dylan, James Taylor or Jack Johnson, then the acoustic guitar is going to be the most appropriate choice for you. This will sound best for strumming casually. On the other hand, if you want to play some loud rock in the style of Jimi Hendrix, then consider an electric guitar since that’s the instrument you’ll need to make those kinds of sounds. Planning on playing in a band? You must also pay some consideration of the thought of whether you see yourself playing the guitar on your own, or if you want to be in a band – or the middle ground, just jamming with some friends. If you’re planning on playing solo exclusively, an acoustic guitar can work much better because you won’t need to be amplified in order to hear yourself over other instruments. On the other hand, if you’re planning on playing in a band at some point, you may want an electric guitar so you can use an amplifier to be able to play loud enough in order to be heard over the drums and other instruments. 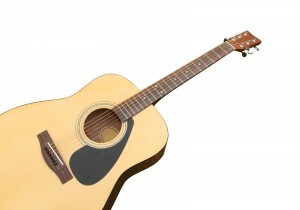 Naturally, there are acoustic guitars that can be plugged in as well, but that’s something else to consider entirely. Or you can just ask about those at the music store when you go out to buy your guitar. If you want to know more about great accessories and other equipment call Glenn Sutton 619-306-3664 right now to get started.